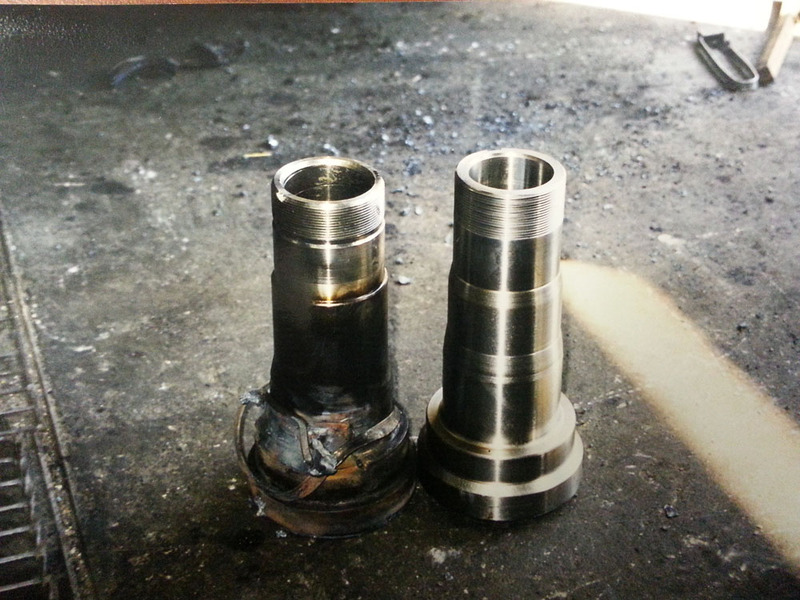 Spindle Dynamics can repair damaged spindles by welding a new stub to the housing. Also we can custom design to fit practically any type of housing or axle. Spindle Dynamics rear end spindle replacement parts permit the repair of a damaged rear end housing at any location without removing the housing from the truck. The cost is only a fraction of the cost of installing a new housing or any other repair method. Truckers and dealers have been relying on them for over the last decade. Click here for a list of dealers in your area.